VA loans are $0 down payment mortgage options available to veterans, service members and select military spouses. VA loans are issued by private lenders and guaranteed by the U.S. Department of Veterans Affairs (VA). Since its inception in 1944, more than 22 million VA loans have helped veterans, active duty military personnel and their families purchase homes or refinance mortgages. How does a VA loan compare to a traditional/conventional home mortgage? Read on. Conventional loans: Up to 20% down. VA loans: VA loans do have a form of mortgage insurance, the VA Funding Fee. It is usually 3.3% and financed into the loan up front. If the borrower separated from the military with a qualifying disability, the funding fee is waived to 0%. Conventional loans: If buyers do put down less than a 20% down payment, they must pay for private mortgage insurance. 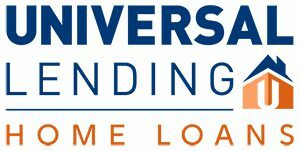 Are the interest rates for VA loans competitive? VA loans: The VA backing gives lenders a greater degree of safety, which means the interest rates can be more competitive than non-VA loans. Conventional loans: Without government backing, banks take on more risk with conventional loans, which can result in less-competitive interest rates. How easy is it to qualify for a VA loan? VA loans: Because the loan is backed by the government, banks assume less risk and have less stringent qualification standards for VA loans, making them easier to obtain. Conventional loans: Conventional loans require stricter qualification procedures that can put homeownership out of reach for some homebuyers. Can I do a cash out refinance? VA loans: Borrowers can do a cash out refinance up to 100% of their home’s value. Conventional loans: Borrowers with conventional loans must leave some equity in their home when doing a cash out refinance. What else should I know about VA loans? VA eligibility is re-usable. A lot of people think they are only eligible for a VA loan one time, but they are able to get VA loans more than one time. You can have more than one VA loan at a time. It’s a myth that you can only have one at a time. You or someone you know may be the perfect fit for a VA loan. Contact a loan officer today to learn more about VA loans and other types of home loans that may be a good fit for you. Do you want more information about VA loans or grants? Find it here or call us today. Next ›Considering Purchasing in HOA?